Why Serum? They are the number-one skincare product worth investing in, lighter than moisturiser, they penetrate the deepest layers of your skin with concentrated ingredients. 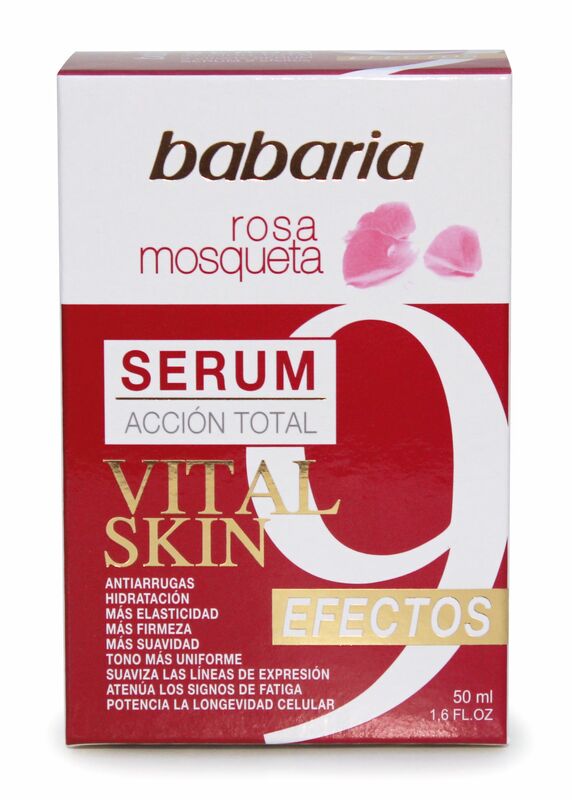 This amazing serum with rosehip oil combats wrinkles, blurs expression lines, reduces signs of fatigue, moisturises, improves elasticity, inproves firmness, softens, evens out skin tone and enhances cell longevity. Aqua, Cyclopentasiloxane, Dimethicone, Glycerine, Pentylene Glycol, Dimethicone Crosspolymer, Polyacrylamide, Rosa Moschata Seed Oil, Methylsilanol Mannuronate, Hydrolzed Soy Protein, Dimethiconol, C13-14 Isoparaffin, Parfum, Styrene/VP Copolymer, Tetrasodium EDTA, laureth-7, Citric Acid, Phenoxyethanol, Sorbic Acid, Sodium Benzoate, Potassium Sorbate, Benzyl Salicylate, Citronellol, Eugenol, Hexyl Cinnamal, Butyphenyl Methylpropional, Linalool, Alpha-Isomethyl Lonone.